Megan grew up in the Boulder area, and knew that she wanted to get married in the town she loves so much. 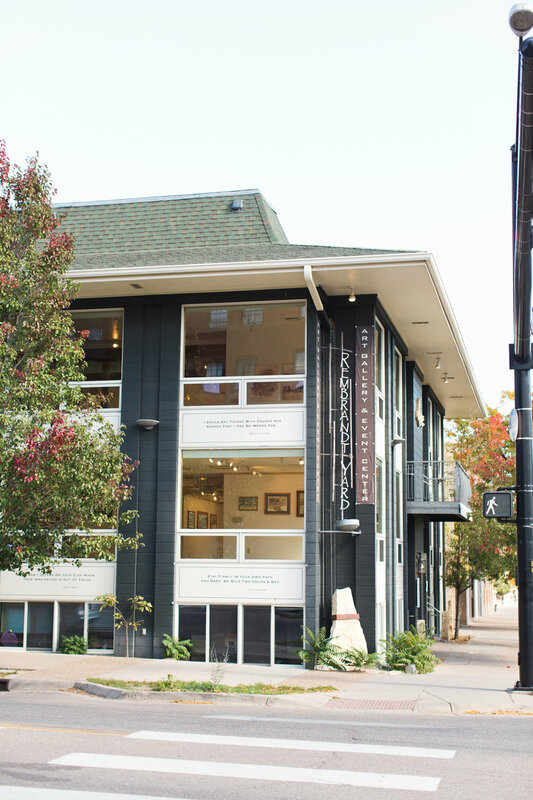 She and Ben ultimately fell in love with the light and location of Rembrandt Yard, an art-filled gallery with views of the Flatiron mountains and downtown Boulder. It was the perfect space for their sophisticated and classic style, featuring a palette of navy, blush, white, and gold. 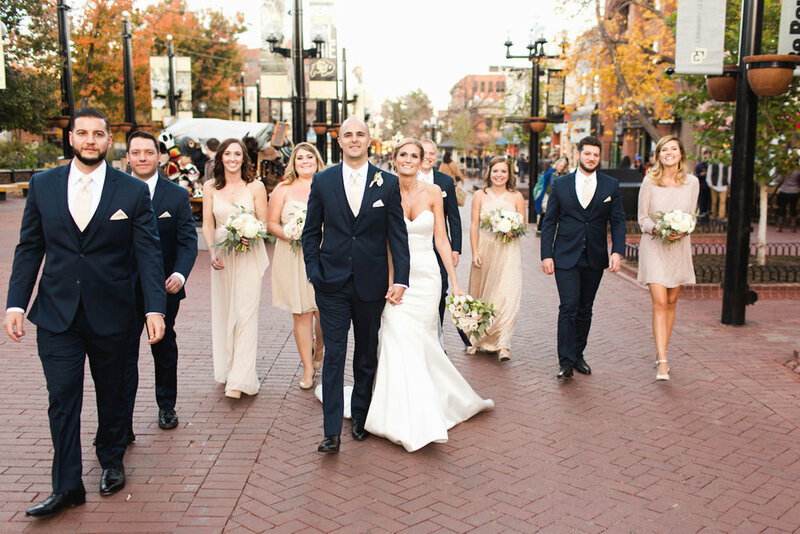 The men dressed in navy suits and accessorized with pocket squares, while the bridal party wore elegant mismatched dresses in neutral tones. It was very important to Ben that he see Megan for the first time as she walked down the aisle, so the couple opted against a first look. Ben's uncle, who is a minister, officiated the wedding. After the ceremony, Megan shared a special dance with her Mom in addition to the traditional Father/Daughter dance. 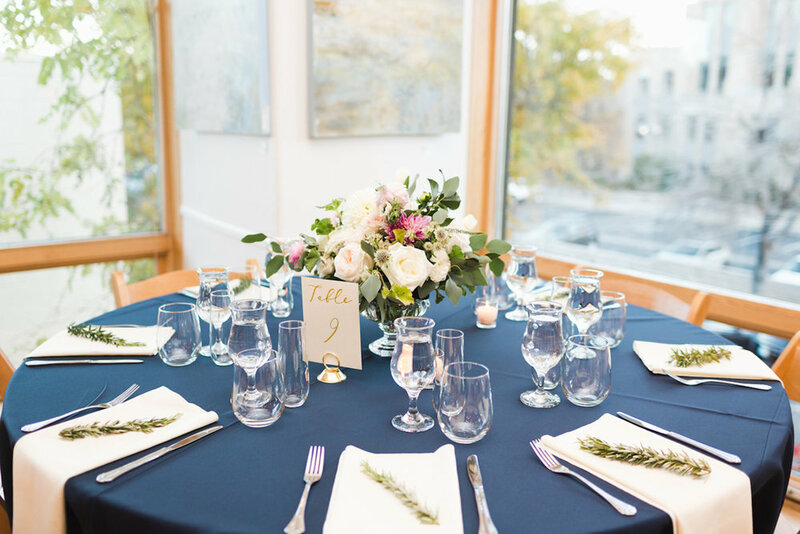 Dinner was served at round tables with navy and white linens, elegant calligraphy place cards, and simple greenery accents at each place setting. Mediterranean food is Megan's favorite cuisine, so the couple went with a Mediterranean-style dinner that included spanikopita and yogurt-marinated chicken kabobs. 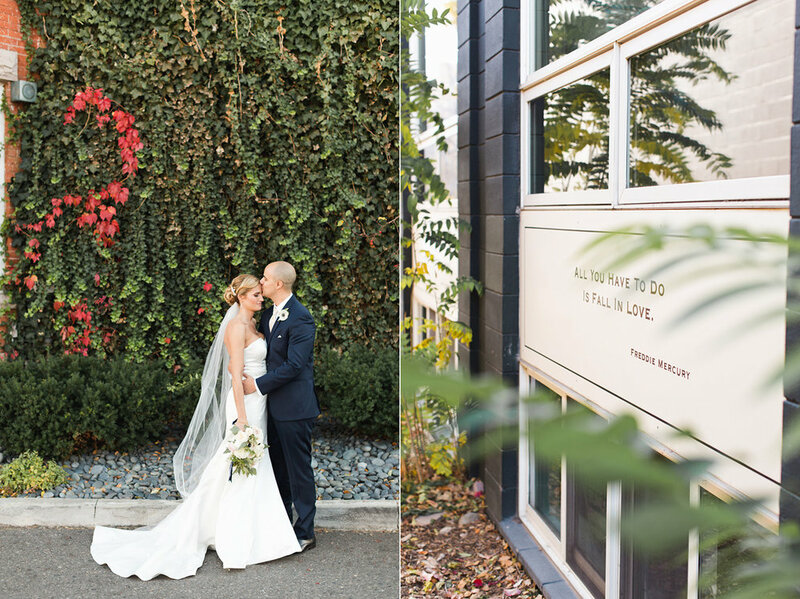 Jackie Cooper Photography captured the day beautifully from start to finish!